But there's also little else as thrilling - at least to Rowan Tripp. The Missoula smoke jumpers are one of the most exclusive firefighting squads in the nation, and the job is in Rowan's blood: her father is a legend in the field. She's been fighting fires since her eighteenth birthday. At this point, returning to the wilds of Montana for the season feels like coming home - even with reminders of the partner she lost last season still lingering in the air. Fortunately, this year's rookie crop is among the strongest ever - and Gulliver Curry's one of the best. He's also a walking contradiction, a hotshot firefighter with a big vocabulary and a winter job at a kids' arcade. He came to Missoula to follow in the footsteps of Lucas "Iron Man" Tripp, yet he's instantly more fascinated by his hero's daughter. 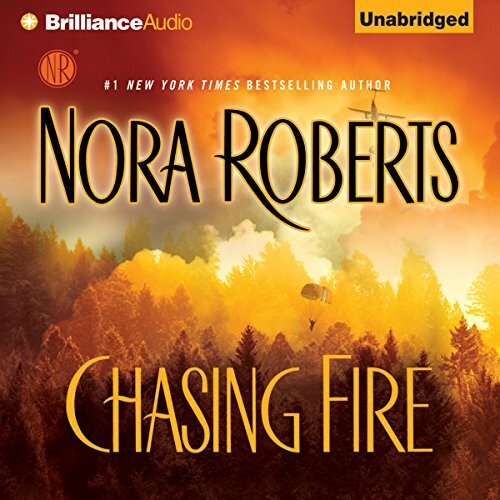 Rowan, as a rule, doesn't hook up with other smoke jumpers, but Gull is convinced he can change her mind. And damn if he doesn't make a good case to be an exception to the rule. Everything is thrown off balance, though, when a dark presence lashes out against Rowan, looking to blame someone for last year's tragedy. Rowan knows she can't complicate things with Gull - any distractions in the air or on the ground could be lethal. But if she doesn't find someone she can lean on when the heat gets intense, her life may go down in flames. View More In Romantic Suspense.